Brand: Wilton 415-9450 Units: 12/pkg. Dimensions: 1¾" diameter x 1¼" wall Discover the convenience and easy release of flexible silicone! 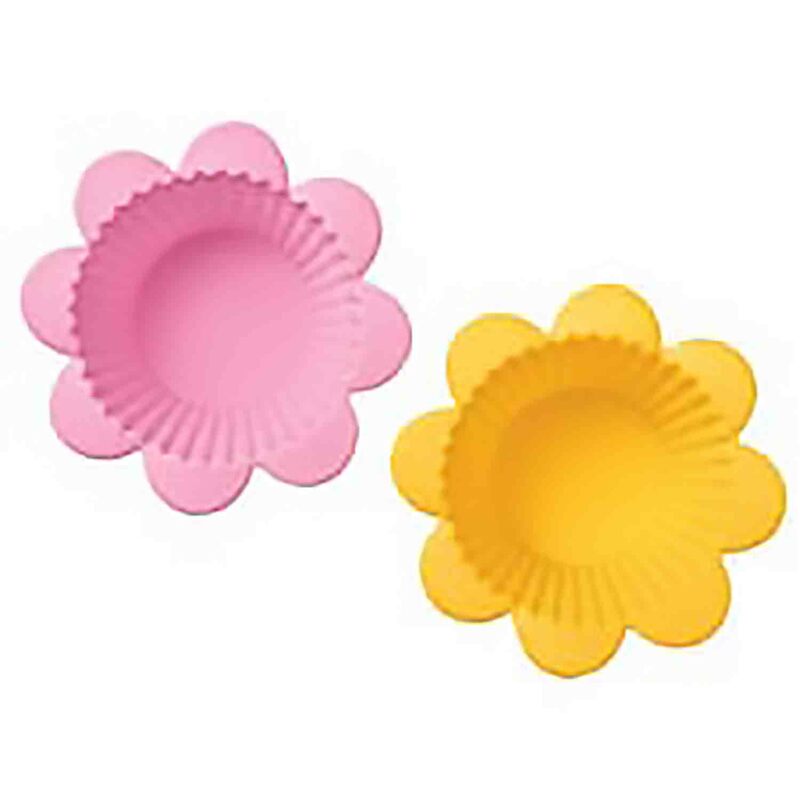 Reusable oven-safe cups in fun colors and exciting shapes are perfect for baking and serving. All have convenient batter fill line. Contains six yellow and six pink cups. Discover the convenience and easy release of flexible silicone! Reusable oven-safe cups in fun colors and exciting shapes are perfect for baking and serving. All have convenient batter fill line. Contains six yellow and six pink cups.